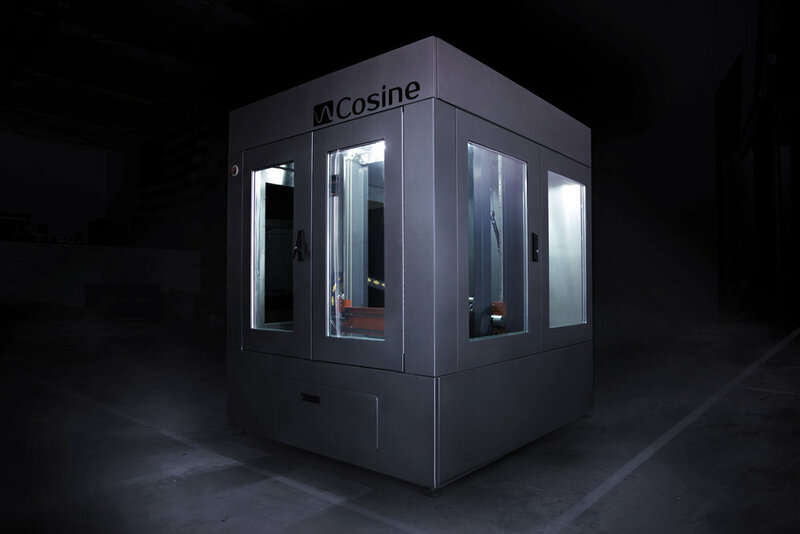 Cosine is proud to validate materials in house with the AM1, expanding our Materials Database. By using our Pellet Feed System, we test materials with the AM1 for our customers interested in printing with us. 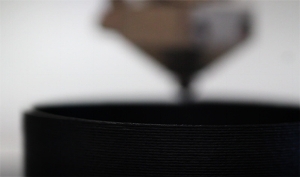 With testing, we find the optimal settings for different kind of materials to print for future use. At RAPID 2018, we will showcase the AM1 and already tested materials, so stop by to see us at booth 1030. Contact us to test your material with the AM1 today! Did you know that our AM1 has an integrated air filter option? 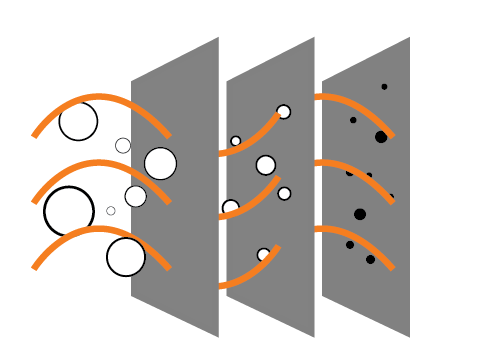 This helps filter the toxins from the printed material, while circulating the air. Now you can have a clean, healthy work environment! Contact us to add the air filter to your AM1 today! Don't forget that the RAPID + tct show at Fort Worth is coming up! We'll be showcasing 3 of our machines along with our many other parts at booth 1030, so mark your calendars for April 24-26, 2018. Contact us to find out how to attend! We are so excited to be going to the RAPID + tct show! Cosine wants to share with you our newest and updated upgrades along unveiling something big! Keep looking for clues on what we could be revealing. You could attend RAPID + tct show for free! Contact us and we will provide you with the means to sign up at no cost. Spots are filling up fast, so hurry and claim your spot! You could attend RAPID + tct show for free. Spots are filling up fast, so hurry and claim your spot! Contact us and we will provide you with the means to sign up at no cost. Cosine plans to move forward this year continuing on from last year of 2017. Expect new updates to the software of the AM1, along with continuing R&D projects. Learn more on our blog. It's a new year, and we are starting off right as we install our first machine of 2018. 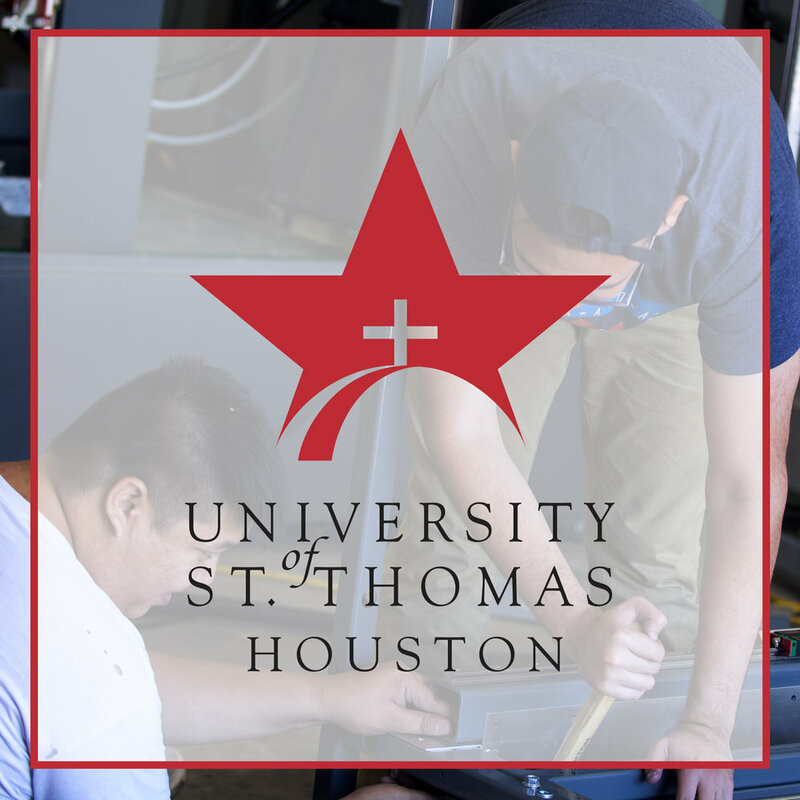 University of St. Thomas-Houston will be receiving an AM1 just in time for the spring semester! Learn more here. Mark your calendars for April 24-26 of 2018. Cosine will be revealing some exciting news at RAPID 2018 in Fort Worth, TX. Look for new hints each month on what we could be revealing! Cosine is starting off the new year already with the installation of our first machine of the year. University of St. Thomas-Houston is receiving an AM1 just in time for the spring semester of 2018. The AM1 will be put into the new science building to help educate on additive manufacturing and much more. Moving forward after an eventful year of 2017, Cosine has so much more in store. We plan to continue updating the AM1, along with continuing and starting new R&D projects. With the upcoming event RAPID 2018 and other tradeshows, we will display many upcoming developments. The year 2017 is coming to a close and Cosine has done so much. Read more about all the developments and updates, such as our development of the Pellet Feed System and the addition of the Materials Database. Come see us at RAPID! Mark your calendars for April 24-26 in 2018. Cosine has officially signed up to be at RAPID 2018 happening in Fort Worth, TX. Learn more on how to attend and see us at booth 1030. Click the video to hear directly from one of our clients, Alliant Castings,on how our AM1 changed their industry. To experience Cosine's great customer service, contact us to start your project today! We have news as big as our machine debuting at RAPID 2018. Cosine is proud to be an exhibitor at the upcoming RAPID + TCT 2018 tradeshow in Fort Worth, Texas. See our newest innovations at booth # 1030 in the exhibitor hall on April 24-26, 2018. Register to attend Rapid 2018 today! Alliant Castings has already run their Cosine AM1 for over 8,000 hours. Hear directly from one of our customers how 3D printing with the AM1 has changed the game in the casting industry. We are always testing new materials to find the optimal settings to add to our Materials Database. See which material could suit your project today! After thorough testing, Cosine is now able to print with PEEK at $19/lb with our Pellet Feed System. Learn more about PEEK and how this material can benefit your project. Introducing ULTEM, an exciting new addition to our Materials Database. You can print this material with our Pellet Feed System at $17/hr. Learn more about how to choose ULTEM for your project here. PEEK is a colorless, high-performing engineering plastic known to withstand harsh chemicals and high temperatures. With the capability of keeping form at temperatures up to 330°F, PEEK has been a top choice of materials used for aerospace, oil and gas, automotive, and many more. After thorough testing, Cosine can now print with PEEK at $19/lb with our Pellet Feed System, providing yet another great material to add to the hundreds of those in our Materials Database. ULTEM is a polymer with outstanding strength that is heat and flame resistant. ULTEM's astonishing durability and remarkable thermal and chemical stability, makes ULTEM one of the top materials used in automotive, aerospace, and medical industries. Printing parts with these properties are now possible with Cosine Additive. After thorough testing, Cosine can now print with ULTEM at $17/lb with our Pellet Feed system, proudly adding another great material to our Materials Database. Our pellet feed extruder and high heat enclosed chamber allows a wider range in material printability. With our open materials philosophy, we now have over 500 materials logged into our Materials Database and growing. Customers have the best optimal settings for different materials, resulting in the ideal print and application specifically for the AM1. Start testing your unique material with us today! 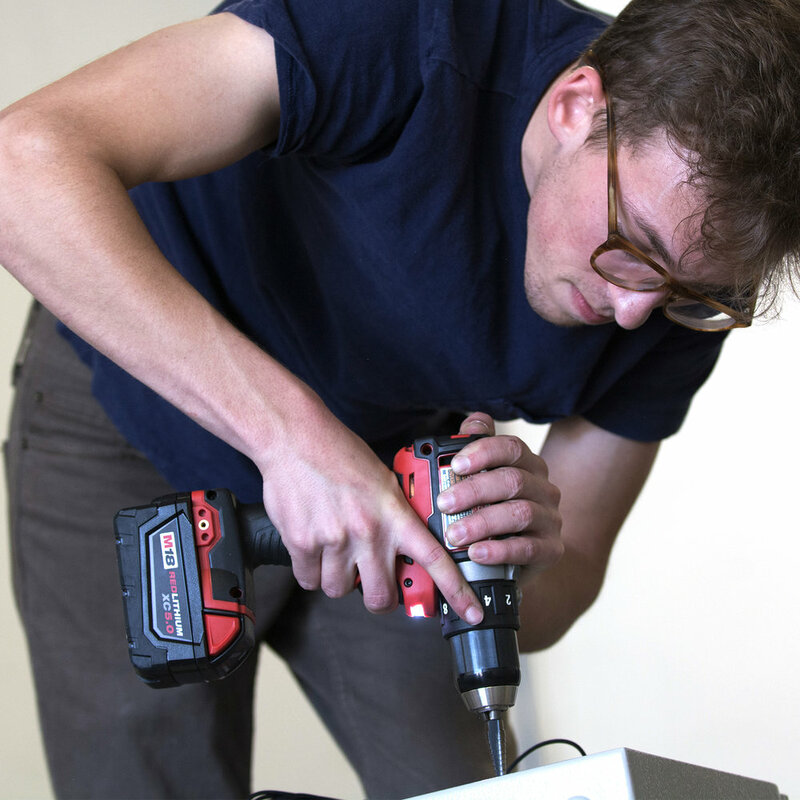 Need a little help with operating your AM1: Want to learn a little more about 3D printing? We are here to help. Visit Cosine's YouTube Page to see all our new Step-by-Step AM1 Tutorial videos. More tutorials are on the way so stay tuned on our YouTube Page. Who has time to remember every material and its settings? Our Material Database does the work for you by saving every material and the material's settings ever used with the AM1. Learn more here. See how we fuel success by working together with other companies with the University of Wisconsin-Madison on their latest development. Start your project today to see where success will take you! We are honored to be part of the Global Floor-Standing 3D Printer Market 2017! Read more about the market for large 3D printers in additive manufacturing analyzed by leading manufacturers here.